Where do I change my payment information? How you can update the credit card information on file. 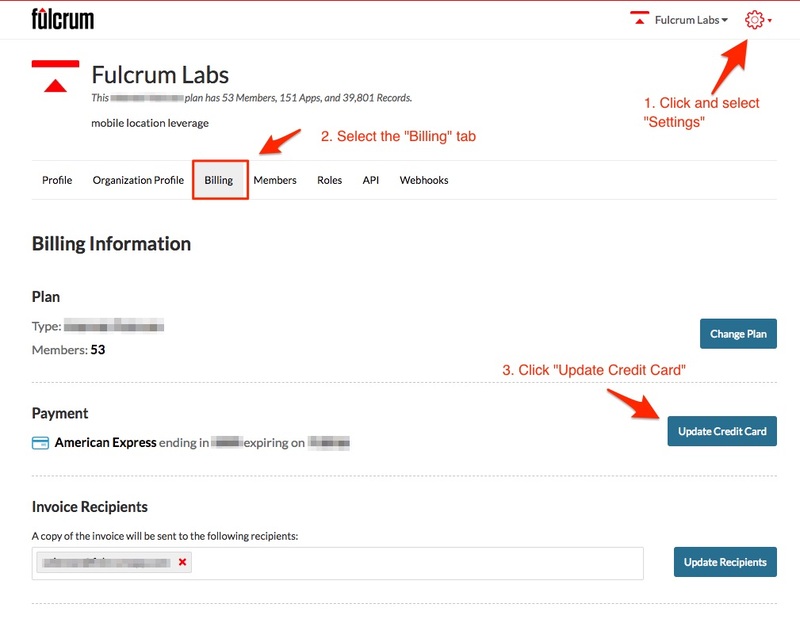 If your user account in the your Fulcrum plan has a the role of owner, you can change the billing information by going to the Settings page and going to the Billing tab. You’ll see a “Billing Info” section showing your current payment details, and you can select Update Credit Card to input a different or new credit card or modify your card details if needed.